Toys, tractors and Trucks Oh, Sublette Toy Show Here We come! Every year we load up and head to one of our favorite collector events of the year, the Sublette Toy Show. Don Dinges and several others began this great show over 31 years ago as a fund raiser for sports and all kinds of other needs for the small community of Sublette. This little burg of around 500 will bulge to around 5,000 for this annual event that will be held Saturday March 16th and Sunday March 17th 2013. This is the first year that the show will be a two day event. In the past it has always been a Sunday only show, but we are looking forward to the expanded hours because we know from experience the day is over almost as soon as it begins! There are many things to do and see at the show. Almost all buildings are open and filled with toys, collections, crafts or something of interest. Peek into every nook and cranny and take time to tour the beautiful Catholic church that is quite awe inspiring if you have an extra moment. There will be over 300 vendor tables and over 200 full size tractors are expected. 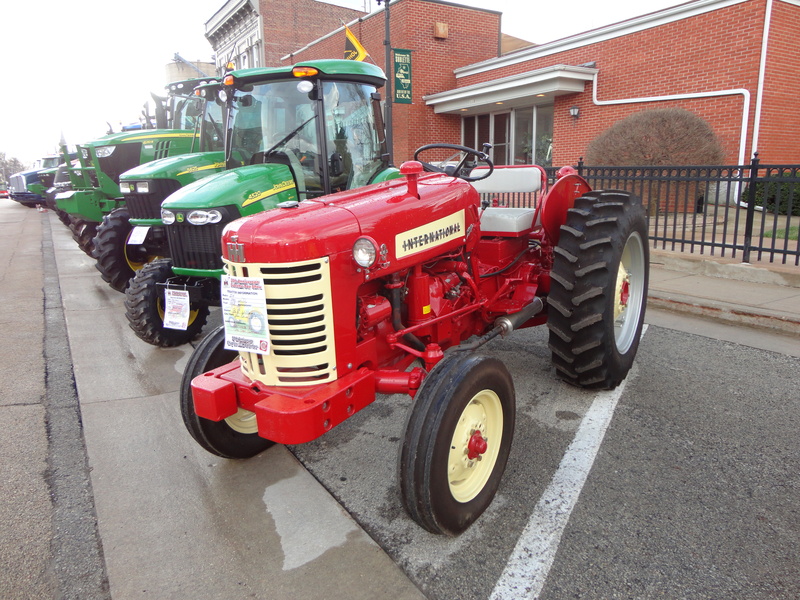 This year the featured tractor is John Deere, but there is also an Oliver celebration going on as well. On Sunday morning from 7:00 AM to Noon the Sublette Volunteer Fire Fighters will have a pancake and sausage breakfast at Ellice Dinges Center. There will also be a craft show on Sunday at Our Lady of Perpetual Help Parish Hall. This little town is filled with history and offers a fun time for anyone interested in toys, tractors or truck! This year we will be set up with our book “My Name is Huber”. There will be a book signing during the Saturday night banquet. For more information about this great little show, log onto http://www.subletteweb.com/.